There’s something about the mountains that have always drawn a certain kind of people: the fearless, the hardy, the intrepid – even the hardheaded and eccentric. Where are the colleges for those people, the ones who want to blaze their own trail, find their own way, or just study where they’re surrounded by the majestic and untamed? From the lush Appalachians in the East, to the rugged Rockies in the West, innovators and iconoclasts are drawn to the mountains, and there are mountain colleges all across the Union that are making a place for them. For the outdoor enthusiasts, hikers and bikers, climbers and skiers, College Consensus has ranked the 25 Best Mountain Colleges. What Makes the Best Mountain Colleges? Historically, mountain regions have been remote and rural, and colleges have had to work extra hard to bring mountain residents the knowledge and skills they need. But that has its positives, and one of the best aspects of the best mountain colleges is community engagement; because they’ve had to work harder to bring education to the people, mountain colleges tend to have a strong sense of place and community, whether in the form of service, partnerships, or outreach. Many of the schools featured in the Best Mountain Colleges ranking are known for the culture and opportunity they bring to their regions, from preserving local folk culture to impacting social mobility and employment (even helping students pay for their education). Of course, one of the main features that draw students to the best mountain colleges is the potential for outdoor adventure recreation. If there’s one thing that the distinct and unique colleges in the mountains have in common, it’s that almost all of them have well-developed outdoor programs. Some are student led, some are officially sanctioned, and some have incorporated outdoor recreation and activities directly into their curriculum with majors and degrees in areas like Outdoor Recreation and Adventure Leadership (things you can’t do with an online degree). Whether students want to spend their weekends blowing off steam hiking and kayaking, or to see snow-capped mountain peaks from their dorm room windows, the best mountain colleges are very much situated in place. They’re not just colleges in the mountains – they’re mountain colleges. The 25 Best Mountain Colleges span the continental United States (sorry, Hawaii and Alaska, but it’s a numbers game), because mountains span the US as well. East and West, South and North, there are mountains, mountain communities, and mountain colleges, and the College Consensus method is all about finding the best-ranked and best-reviewed. There are certainly patterns to be seen; colleges in the mountains of NC, and mountain colleges in Colorado, keep cropping up as standing tall among the very best mountain colleges, for good reason: those are both states that have developed exceptional public university systems, and have a lot of mountains. The editors would note that this ranking cannot be considered entirely objective; no such ranking can be. The first step in making the Consensus ranking is to have a Consensus rating. To be considered, colleges and universities must have enough reputable publisher rankings and verified student reviews to generate a Consensus score. Schools that do not have a Consensus score were not considered, which left out some fine mountain colleges. From there, our editors selected colleges and universities that are not only near or in the mountains, but that have incorporated outdoor recreation, mountain culture, and ecological preservation directly into their student life and curriculum. Schools are ranked according to their Consensus score, generating a ranking that balances the educational reputation with a strong dedication to the mountains. One of the oldest colleges in America – founded in 1749 as a classical academy – Washington and Lee University is named for George Washington, whose endowment in 1796 saved the school from bankruptcy, and Robert E. Lee, who modernized the academy into a liberal arts college during his presidency after the Civil War. With its deep roots, WLU is frequently ranked one of the best colleges in the mountains, and U.S. News & World Report ranks WLU among the top 10 liberal arts colleges nationally. Forbes has also recognized Washington and Lee for its impact on the job market; with its deep roots and wide alumni network, WLU graduates hit the job market with more than enough support. Located in the Shenandoah Valley, one of the most picturesque and popular tourist destinations in the Appalachian Mountains, Washington and Lee is deeply engaged with mountain life. Outdoor activities are one of the main sources of recreation for WLU students, from hiking and mountain biking to canoeing, kayaking, and tubing on the many rivers and streams. Within a short drive, students can reach the Shenandoah National Forest, the Shenandoah River State Park, the Appalachian Trail, and the Blue Ridge Parkway, some of the region’s most beautiful areas. One of the best mountain colleges, and one of the best outdoor colleges, Washington and Lee University connects students to nature. Founded in 1800 in the town of Middlebury, VT, Middlebury College was always envisioned as the Town’s College, a nickname that underscores Middlebury’s deep connection to place and community. Located in a valley between the Green Mountains and the Adirondacks, Middlebury College is a haven for mountain recreation and outdoor adventure, but also community engagement and preservation. Long ranked in the top ten national liberal arts colleges by publishers like U.S. News, Middlebury is particularly known for the high level of alumni loyalty, and for its status and impact on the community. It’s also one of the best colleges in the mountains, dedicated to the land and place. Middlebury doesn’t skimp on the mountain experience. In fact, the Bread Loaf Mountain Campus, in Ripton, VT, is the home not only of the Bread Loaf School of English – Middlebury’s renowned graduate school – and the famed Bread Loaf Writers’ Conference; it’s also the home of the Middlebury College Snow Bowl, the college’s own ski mountain. The college also owns the Robert Frost Farm, a National Historic Landmark in Ripton. The Middlebury Mountain Club, an active student organization since 1931, leads hiking, camping, rafting, and other excursions throughout the region every year. It all goes to cement Middlebury’s status as one of the greatest mountain colleges, and best outdoor colleges. Regularly ranked among the top 25 liberal arts colleges in America, Bates College is an historic and respected institution in the Androscoggin River Valley, in the foothills of Maine’s Appalachian Mountains. Founded in 1855, Bates is notable as the first coed college in New England, and is known widely for its academic rigor and selectivity. Bates is particularly known for its campus culture, which is defined by its long-held traditions, many eccentric and unique, such as the annual Puddle Jump, celebrating the end of winter (students cut a hole in the ice of Lake Andrews and leap in). Bates has earned a reputation for academic achievement, including the highest proportion of Fulbright Fellowship winners in the US. With its central location, with roughly equal distance between the mountains and coast, Bates College is the home of one of the oldest Outing Clubs (and the first coed club) in the US, founded in 1920. The Bates Outing Club remains a student-led organization, taking students on adventure trips all over Maine’s mountains, forests, rivers, and lakes. Bates College even has its own mountain – albeit one just 200 feet tall. The Bates-Morse Mountain Conservation Area, protected by Bates College, the St. John Family, and local government, is a 600-acre preserve is available to Bates students for recreation and research, and opened to the public for 8 months of the year; more than 20,000 hikers visit each year. One of the oldest colleges in America, and one of the nine Colonial Colleges founded before the American Revolution, Dartmouth College is one of the most prestigious and influential Ivy League research universities. Founded in 1769, Dartmouth was originally intended to educate Native Americans in Christian religion, but over time, Dartmouth expanded to become an essential part of New Hampshire’s learning and culture. With just over 6000 students, Dartmouth is the smallest of the Ivy Leagues, and though it is a Carnegie Foundation research university, Dartmouth keeps the “college” name to define its priorities. Dartmouth is one of the most selective and exceptional undergraduate institutions in the world, with a rich, old culture, making it one of the nation’s best mountain colleges. 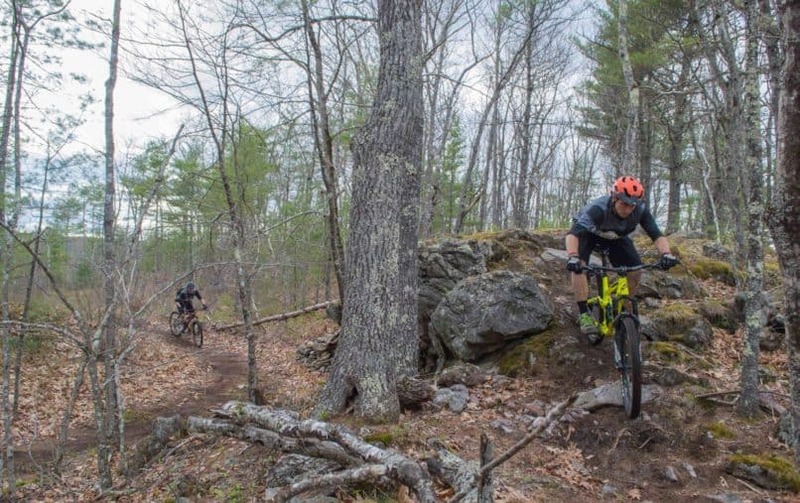 With its location in Hanover, NH – one of the best small college towns in America, in the center of the Appalachian Mountains – Dartmouth is also a pioneer in student outdoor recreation. The Appalachian Trail runs straight through Dartmouth’s campus, but even before the App Trail was conceived, Dartmouth had started the nation’s first student outdoor recreation club: the Dartmouth Outing Club, founded in 1909. With more than 1500 students, and just as many non-student members, the DOC offers an enormous opportunity for fun, learning, research, and community service. The DOC also maintains 50 miles of the Appalachian Trail, making it one of the most conscientious colleges in the Appalachian Mountains. Colorado College, a prestigious liberal arts college, has built a reputation over a century and a half as one of the best mountain colleges in Colorado. Founded in 1874, Colorado College is located in Colorado Springs, at the foot of Pikes Peak and the magnificent Front Range; at a mile high, Colorado Springs is also one of the tallest cities in the US. Commonly named as one of the Hidden Ivies (lesser-known colleges as good as the Ivy League), Colorado College has been ranked one of the top 25 national liberal arts colleges in the US, and the most innovative liberal arts college, but U.S. News & World Report. It’s also been called one of the happiest schools in America, thanks in part to its robust outdoor recreation. Obviously, there is no shortage of outdoor adventure opportunities in Colorado Springs. 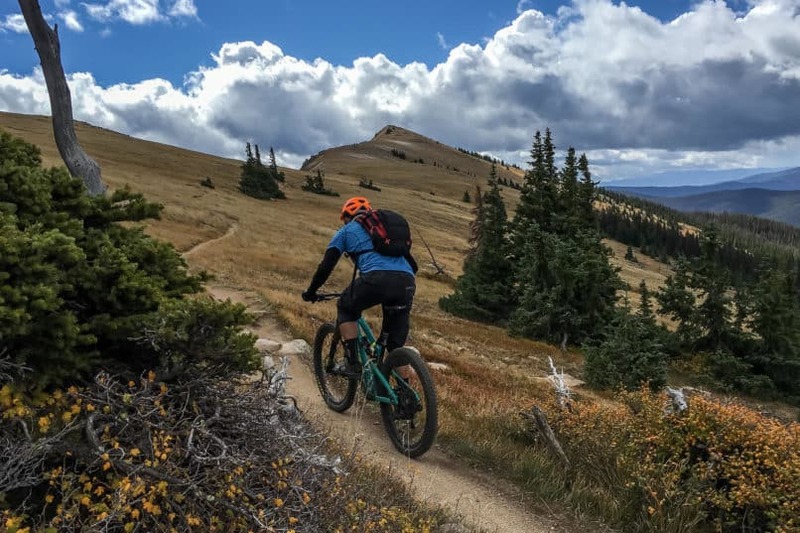 As one of the top mountain colleges in Colorado, Colorado College is everything students could imagine – a haven for hikers, mountain bikers, skiers, climbers, campers, and anything else in the sunshine and hills. The Outdoor Recreation Committee organizes on-campus and nearby trips during the school year, and off-campus adventures during breaking, while the CC Gear House provides rentals for just about any equipment a student outdoors-lover could need. Close proximity to Rocky Mountain National Park, Vail, Aspen, and other outdoor destinations make Colorado College the envy of all other mountain colleges, including the best mountain colleges in Colorado. Dating back to a seminary founded in 1854, Whitman College is one of the Pacific Northwest’s oldest colleges, and one of the most prestigious in the nation. Regularly ranked among the top 50 national liberal arts colleges, Whitman is known for its academic excellence and its international student body, as well as its robust study abroad program. Whitman is proud of a low student:faculty ratio of 9:1, which gives students an exceptional amount of mentorship and support, but the college is equally proud of another statistic – a 1:1 student:tree ratio throughout the 77-acre arboretum campus. Firmly rooted in Walla Walla, more than 70% of Whitman students take part in community service every year. Situated at the foot of the Blue Mountains, Walla Walla isn’t just one of the safest and friendliest places to live in America – it’s also one of the best for outdoor recreation, and Whitman students are totally engaged. One of the top mountain colleges, Whitman College offers students an Outdoor Program that keeps students active almost every weekend of the academic year, with trips all around the Blue Mountains and Washington State for hiking, skiing, kayaking, ice climbing, and even snowshoeing. Beyond recreation, the Semester in the West program sends students out every other fall semester for field research in conservation and social justice, adding to Whitman’s status as one of the best – and most responsible – colleges in the mountains. Located in Portland, OR, in the foothills of the Tualatin Mountains (better known as the Wild Hills), Reed College is renowned as one of the most innovative, exemplary, and progressive liberal arts colleges in America. Founded in 1908, Reed was intentionally imagined as a contrast to the elitist Ivy League universities, with an emphasis on egalitarianism, intellectual rigor, and academic focus. Reed is highly unique, with a liberal arts foundation rooted in the Classics combined with modern science – in fact, Reed is the only college with a student-maintained nuclear reactor. With narrative evaluations generally substituting for grades, Reed focuses on helping students develop into independent thinkers and leaders, and Reed’s extensive outdoor recreation and learning programs are tightly tied into that mission. Reed is easily one of the best mountain colleges, and one of the best outdoor colleges, from the forested wetlands known as Reed Canyon at the center of campus, to the college’s ski cabin on Mt. Hood, Oregon’s highest mountain (just 90 miles away). From campus, Mt. St. Helen’s and Mt. Ranier are visible on clear days, and small local areas like Mt. Tabor, Powell Butte, and Rocky Butte give Portland its rugged look. Oregon is famed for its outdoor adventure, and the Reed Outing Club gives students organized opportunities to enjoy all Oregon has to offer, from local hiking and biking to mountain climbing and camping in Oregon’s mountain ranges. It all makes Reed one of the best colleges for outdoors. Sewanee: The University of the South is one of the most respected institutions in the South, regularly named among the Southern Ivies and ranked one of the top 50 liberal arts colleges in the nation. While Sewanee was founded in 1857, the Civil War prevented the university from opening for a decade. Once it took its place, though, Sewanee established a reputation as the finest institution of its kind in Tennessee, and quickly became an academic and cultural hub. Sewanee is also a model of sustainability and conservation; the vast forests of its 13,000 acre campus (known as The Domain or The Mountain), in the Cumberland Plateau at the foot of the Appalachians, is almost entirely undeveloped, giving Sewanee a reputation as one of the most beautiful campuses in America. With some 12,000 acres of undeveloped land, and the Appalachian Mountains at its back door, Sewanee is a nature-loving student’s dream. The Sewanee Outing Program takes students on weekly trips throughout The Domain and beyond, with activities ranging from hiking and backpacking to canoeing and kayaking. The Domain itself offers more than 50 miles of trails, including the 20 mile Perimeter Trail, where students can access areas for rock climbing and caving right on campus. Low participation costs for the SOP, and free equipment rentals, allow students to encounter the great outdoors without harm to their wallet, and students and faculty can even camp in the Domain for free. One of the best mountain colleges, Sewanee shows how outdoor recreation is done. One of the most unique private research universities, Brigham Young University is regularly recognized among the top national universities, as well as rating as one of the top mountain colleges. Founded in 1875, BYU is the leading Latter-Day Saints university in the world, with a student body of more than 33,000 – 99% of whom are Mormon students from the world over. Known as much for its devout campus culture as for its exceptional academics, BYU is widely recognized as one of the most engaged universities. BYU is a cultural center for Utah, and BYU students are deeply committed to community service. In all, BYU is known as one of the safest, happiest, and healthiest campuses in America, thanks to the Mormon emphasis on health (no alcohol, caffeine, or drugs) and Provo’s highly active culture. BYU’s home in Provo, UT, sits in the scenic Utah Valley, along the Wasatch Range, and the mountains on the horizon are a haven for outdoor adventurers. Utah is one of the best states for the outdoors, and BYU has established itself as a model mountain college for decades. BYU Outdoors Unlimited is an on-campus shop opened in 1982 to provide students, faculty, and local residents with low-cost options for buying and renting equipment. From bikes to kayaks, camping equipment to climbing gear, BYU offers all students need to take on the mountains. Various student clubs, like the BYU Outdoor Adventure Club, organize trips and activities, keeping students in the outdoors as much as they could want. One of the most beloved mountain colleges in the nation, Appalachian State University defines what it means to be a college in the mountains – deeply engaged with the community, the land, and the people. Founded in 1899, App State was a grassroots effort by the people of Boone, NC, to establish a teacher training school in their community, bringing education to a remote region just beginning to open up. Appalachian has never forgotten that vision, and even today, as a public university of more than 18,000 students, the college remains focused on the need of the Appalachians and its people. Ranked one of U.S. News’ top 10 regional colleges in the South, Appalachian is also a top college for outdoors lovers. It would be impossible for a university in the center of the Appalachians, in a town named for Daniel Boone, to be anything else. The ASU Outdoor Programs focuses on using adventure for education and personal development, taking students whitewater rafting, hiking, caving, rock climbing – everything that can be done in the mountains surrounding Boone. ASU even offers students an Outdoor Community among its many Residential Learning Community, where students who are interested in outdoor activities, education, and leadership can live and work together. Appalachian State shows what it means to be a mountain college, where mountain life and academic life are one and the same. Among colleges in the mountains of NC, Appalachian sets the standard. A small, Roman Catholic liberal arts college in Helena, MT, Carroll College has been ranked the top regional college in the West by U.S. News & World Report, and has earned a reputation over its century-plus for academic excellence and value. While Carroll began as an all-male institution focused on preparing students for the priesthood and professions, today the college is both coed, and majority women. It’s pre-professional programs are Carroll’s pride, and their exceptional liberal arts and science foundation shows results, including an 85% acceptance rate for graduates going to medical school. Carroll’s relationship to the city of Helena, Montana’s capital, is also a source of opportunity for students, both professionally and personally. Helena, MT, sits smack in the center of mountain ranges and national parks, and Carroll College students make the great outdoors of Big Sky Country their own. The Carroll Adventure and Mountaineering Program – better known as C.A.M.P. – is one of the college’s most popular offerings, and students have a wealth of adventure trips to choose from. Helena National Forest, the Missouri River, the Great Divide, and many more locations offer everything from fly fishing to snowshoeing. Helena is also known for mountain biking, particularly in the South Hills. With so much to do, there’s no doubt that Carroll College ranks as one of the best mountain colleges in the nation. School for school, perhaps no state beats the colleges in the mountains of NC for quality and rank. Western Carolina University is just one of many top-notch public colleges in the mountains of NC, part of the renowned University of North Carolina System. Founded in 1889, WCC began as a local academy started by the local residents of Cullowhee, NC, at a time when there were few public schools in the Appalachians. The community school was so successful, it became North Carolina’s first public normal school, training teachers for the public school system, and and as it developed, Western Carolina became a model for North Carolina’s regional university system. WCC still puts a priority on the needs of the Appalachians, and is regularly ranked one of the top regional colleges in the South. Of course, in the heart of North Carolina’s Appalachians, Western Carolina is an exemplary mountain college, and students are drawn to Cullowhee by one of the best colleges for outdoors life. WCC is a center of both study and recreation in the mountains, with research initiatives like the Southern Appalachian Biodiversity and Ecology Center and the Mountain Heritage Center bringing scholars from far and wide. Western Carolina also encourages outdoor recreation through Base Camp Cullowhee, which organizes classes and trips for rafting, climbing, kayaking, mountain biking and more. One of the best mountain colleges in the nation, Western Carolina University lives for the mountains. Founded in 1902, Berry College took its first form in a boys’ boarding school opened by philanthropist Martha Berry, intended to bring education and career opportunity to the rural region. Over the following century, Berry grew into one of the most respected liberal arts colleges in the South, ranked in the top 10 regional colleges by U.S. News & World Report today. Berry’s low student:faculty ratio (11:1) and world-class faculty have helped to make the college a leader, but Berry is particularly known for its exemplary Work Experience Program. Originally, Berry’s students paid their tuition through on-campus work, and today the program helps more than 90% of students earn their degree with little to no debt. Berry College is also known as one of the best outdoor colleges in the world, thanks to its 27,000 acre campus – the largest contiguous campus in the world. With its location in Georgia’s Appalachian Foothills, the mountains are in Berry’s backyard, and Berry’s Outdoor Recreation program plugs students into all of the opportunities at their doorstep. 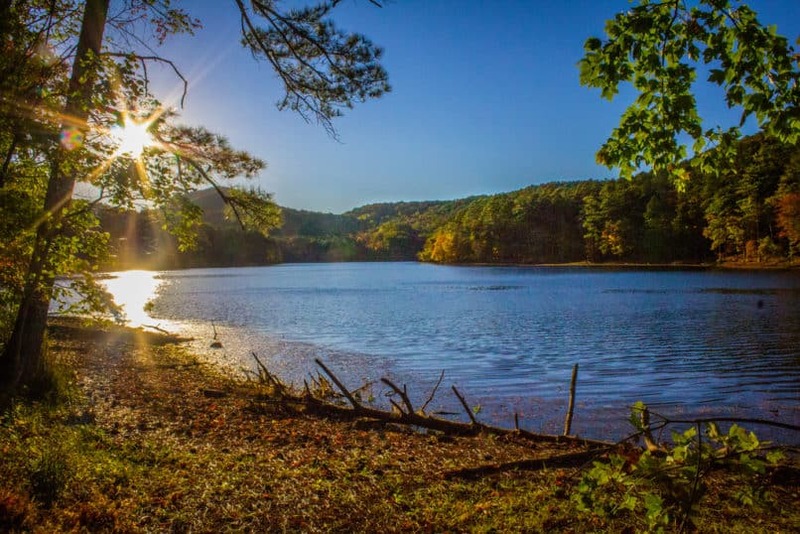 Just on Berry’s campus, students have access to more than 80 miles of trails for hiking, biking, and horseback riding, all within a beautiful Wildlife Management Area maintained by the Georgia Department of Natural Resources. Besides camping and recreation, Berry’s campus helps students learn about conservation and ecology – all part of what makes Berry one of the best mountain colleges. Long ranked one of the top regional colleges in the West by publications like the Princeton Review and U.S. News & World Report, Linfield College is a small, private liberal arts college McMinnville, OR. Linfield was founded in 1858 by the Oregon Baptist Educational Society, and while the college maintains its historic affiliation with the American Baptist Church, it no longer has any religious requirement. In addition to being one of the highest producers of Fulbright fellows, Linfield has been recognized for its impact on social mobility, helping students from economically disadvantaged backgrounds achieve their educational and professional goals. Deep in the heart of the Willamette Valley, Linfield College is located central to the Cascade Range, the Oregon Coast Range, and the Calapooya Mountains; it was once the final destination of the wagon trains on the Oregon Trail. The valley’s rich soil brought the settlers, and today made the region the center of Oregon’s wine country, but Linfield’s students are also drawn by the wealth of outdoor activities the mountains, foothills, and rivers provide. The Linfield Outdoor Club organizes outings for students, while students can drive to Mt. Hood National Forest or Tillamook State Forest in only around an hour. With so much opportunity, Linfield is one of the best colleges for outdoors experience. In its beginning (1874), the Colorado School of Mines was exactly what the name says – a school for all aspects of mining, including engineering, metallurgy, chemistry, and all of the other applied sciences involved. Over time, the school developed and grew into a full-fledged public research university devoted to applied sciences, engineering, computer science, and natural resources. With a strong reputation as one of the top STEM institutions in the West, as well as one of the best mountain colleges in Colorado, Mines (as its friends call it) is ranked a top-tier national university by U.S. News, and is recognized for its diversity and inclusiveness. In fact, Mines has the largest Society of Women Engineers chapter in the US. One thing going for the mountain colleges in Colorado is outdoor recreation, and the Colorado School of Mines has it in full. The Outdoor Recreation Center at Mines offers equipment rentals for all manner of outdoor adventure, as well as a full bike shop for students to tune up and repair their rides. Golden, CO, offers miles of hiking and biking trails that are accessible from campus, such as Table Top Mountain, but many students opt for the challenge of one of Colorado’s Fourteeners – the more than 50 mountains over 14,000 feet tall, many just a short drive from Golden. The emphasis even goes into residence life, including the Adventure Leadership Community, a living-learning community that adds to Mines’ reputation as one of the best mountain colleges in Colorado. Founded in 1893 as a normal school – a teacher training school for young women – Western Washington University has been dedicated to the needs of its community since the very beginning. The northernmost university in the continental US, WWU has been a force for innovation and development throughout the region – just a hop, skip, and jump from Canada. Over time, WWU developed a reputation as an educational model, with experimental and pioneering programs like the first environmental science college (the Huxley College) and the Fairhaven College of Interdisciplinary Studies. Western Washington is also ranked one of the top 20 regional colleges in the West. Located on the Puget Sound, Western Washington University has the unusual distinction, among mountain colleges, of being both a college in the mountains, and a college by the sea. That makes WWU one of the best colleges for outdoor recreation in the world; just a few miles to the east, and students can hit the beaches of the Pacific Ocean, but just a short drive to the west takes them to the North Cascades National Park, with numerous mountains, trails, and lakes. The outdoors is central to WWU student life and learning, from the Outdoor Recreation major to the WWU Outdoor Center. From mountain biking and hiking to boat rentals at the Lakewood facility, WWU students make Western Washington one of the best mountain colleges around. One of the top mountain colleges in Colorado, Regis University is a private Catholic liberal arts university known for its academic rigor and excellence. Founded in 1877 by Jesuits in Las Vegas, New Mexico, Regis moved to Denver, CO, in 1887, beginning a long history of engagement and service to what was then a mining boomtown. Today, Regis is part of the respected Association of Jesuit Colleges and Universities, and has been ranked among the top regional colleges in the West since U.S. News & World Report began the ranking. Regis is also known for its community engagement, including initiatives like the Center for Service Learning and the Institute for the Common Good. Its deep roots and ties to Denver, CO, extend to the fun side of Rocky Mountain life as well. As part of the Mile High City, at the foot of the Front Range of the Rockies, Regis has no end of outdoor recreational opportunities for students. The Outdoor Adventure Program offers equipment rentals to students for free – everything necessary for outdoor activities, from sleeping bags and backpacks to tents and camp stoves. Like other mountain colleges in Colorado, multiple organized activities all year long take students fly fishing horseback riding, hiking, and more – and that’s not even counting all the opportunities students have off-campus, with just a short drive. With its reputation and recreation, Regis secures its spot as one of the best mountain colleges in America. One of the California State University system’s two polytechnic institutions, California State Polytechnic University, Pomona began as an extension campus of Cal Poly San Luis Obispo, but the university has come into its own as an independent institution. Originally a boy’s vocational high school, Cal Poly Pomona today is actually the second-largest campus in the CSU system, with numerous gardens and the Voorhis Ecological Preserve. Cal Poly Pomona is known for its academic and research excellence, and is ranked one of the top regional colleges in the West, and has been noted for one of the highest ROI values in California. It may be surprising to think of Cal Poly Pomona as one of the best mountain colleges in America, but Los Angeles County has some of the most varied landscape in the world. A suburb of California, Pomona is the center of the Pomona Valley, at the foothills of the San Gabriel Mountains, and CPP students have just a short drive to the Angeles National Forest. Mt. San Antonio – known almost exclusively as Mt. Baldy – overlooks the city. The Cal Poly Pomona Outdoor Adventures program includes classes and trips, such as hiking to the famed Bridge to Nowhere in the San Gabriel Mountains. For outdoors-loving students, it’s one of the best mountain colleges in California. The top public liberal arts college in the UNC system, the University of North Carolina at Asheville is also one of the best colleges in the mountains of NC, and there is certainly competition. Founded in 1927 as a junior college, UNC Asheville is still primarily a bachelor’s college, and has been ranked as one of the best undergraduate educators in the nation. With its roots in Appalachians, UNC Asheville is known for its value and outreach, and has frequently been named a best value, offering the support and mentorship of a liberal arts college with the resources and tuition of a public university. UNC Asheville is also an ideal destination for students who love the outdoors. The largest city in western North Carolina, Asheville is one of the most popular tourist towns in the South, with a nationally-recognized foodie scene, music scene (including America’s oldest folk festival), and outdoor recreation. Nestled in the Appalachian Mountains, Asheville is in the center of four national forests: the Cherokee, Pisgah, Nantahala, and Great Smoky Mountains national parks. 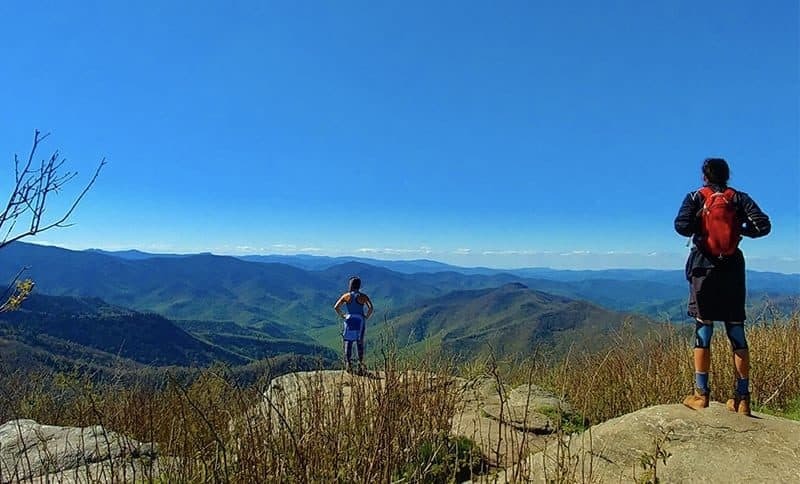 All of those destinations give the UNC Asheville Outdoor Programs plenty of “human-powered adventures” for student recreation. For those who like the outdoors from inside, the Blue Ridge Parkway also passes by Asheville. One of the best mountain colleges in NC, UNC Asheville is a perfect outdoor college. Utah’s flagship and oldest university, the University of Utah dates back to 1850, well before Utah was even a territory – when the Mormon settlers were still calling the frontier land “Deseret.” As such, the university and its home, Salt Lake City, developed in a powerful back-and-forth influence, as the University of Utah educated generations of leaders and professionals. Today, U of U is ranked in the top tier of U.S. News & World Report national universities, and is particularly known as one of the region’s top research universities, counting Nobel Prize winners, Turing Prize winners, and MacArthur fellows among its faculty and alumni. In the heart of the Salt Lake Valley, surrounded by the peaks and canyons of the Wasatch Range and the Oquirrh Mountains, the University of Utah is one of the top colleges in the mountains for outdoors-loving students. U of U students have all kinds of opportunities through the Outdoor Adventure program, including hiking, camping, and rock climbing in the many national parks nearby. The SLC is also within an hour’s drive of several of the most popular ski resorts in the US, giving students a destination for skiing, cross-country skiing, snowboarding, and other winter sports. One of the top mountain colleges, U of U gives adventurous students plenty to love. Montana’s largest college, Montana State University began in 1893 as the state’s land-grant agricultural college – with eight students and two professors meeting in Bozeman, Montana’s high school. Today, more than 16,000 students attend MSU, building on a period of unprecedented growth in the last decade as students flock to a university known for its exceptional STEM research and degree programs. MSU is a leader in areas rooted in its original mission, from bioengineering and technology to ecology and environmental sustainability. Montana State is also an influential research institution in rural medicine, in keeping with its outreach to Montana’s people. Montana State is marked by its love for the land and people of Montana, and it stands as one of the best mountain colleges in America. And MSU is definitely a mountain college – in fact, Bozeman is surrounded on all sides by mountain ranges – the Bridger Mountains, the Tobacco Root Mountains, the Big Belt Mountains, and more. MSU’s Outdoor Recreation Program is one of the most fully-developed college outdoor programs out there, with workshops, gear rentals, leadership programs, and, of course, outdoor adventure trips to destinations all over Montana. One of just a few institutions in the Work Colleges Consortium, Warren Wilson College is a unique liberal arts college dedicated to service learning. Warren Wilson has its origins in a farm school founded by the Presbyterian Church in 1893, an effort to bring education to an area that had a shortage of schools. It was not until 1942 that the school had developed enough to become a junior college, but even today, Warren Wilson retains its “Triad” curriculum – classroom education, on-campus work, and community service for all students. As Warren Wilson was born as a service to Appalachia, so the college remains focused on the needs of the place and people. Warren Wilson College is one of the most special colleges in the mountains of NC, defined by its emphasis on engagement with the community and environment. It is also a strong mountain college, with popular majors in Outdoor Leadership and Environmental Studies. But Warren Wilson isn’t all work and service – it’s in the Swannanoa Valley, after all, one of the most beautiful regions of the Appalachians, with nationally known outdoor recreation. Warren Wilson Students get to enjoy 1100 acres, much of it wild forest, as well as a river for kayaking and rafting, 25 miles of hiking trails, and many special trips and events organized by the Outdoor Adventure program. One of the leading colleges in the mountains of NC, Warren Wilson helps students make the most out of their location – and give back more than they could imagine. Southern Oregon University, a public liberal arts college in the Rogue Valley, dates back to an academy and normal school (teacher training school) founded in 1872. That is not the current SOU, though; the school closed twice for lack of funding before the SOU of today opened in 1926. In the last century, Southern Oregon has become a crucial part of life and work in the region around Ashland, partnering with the Rogue Community College, reaching out to the community, and providing education and services in the area. SOU is also a cultural hub, the home of the Oregon Shakespeare Festival and a nationally-known theater scene. Its influence and service makes SOU one of the best mountain colleges in Oregon. Ashland, OR, sits in the foothills of the Rogue Valley, just a few miles north of the Rogue River-Siskiyou National Forest, and just west of the Cascade Range. With its deep commitment to the mountain region, SOU is known for its unique programs dedicated to mountain life, including the Outdoor Adventure Leadership programs, which offers minors, bachelor’s degrees, and graduate degrees. The SOU Outdoor Program provides equipment rentals, education, and student-led adventure trips for students and local residents. Hiking, biking, whitewater rafting, and climbing trips are offered all year long; the OP even has a bike repair shop that is free for students to learn their way around bike tools. Founded in 1899 as a teacher training school for the Arizona Territory, Northern Arizona University is a large, public research institution in Flagstaff, AZ. From a territorial school with two teachers, NAU has grown into a major institution with more than 30,000 students, more than 1000 faculty, and globally influential research. One of the nation’s top mountain colleges, NAU is located just south of the San Francisco Peaks, Arizona’s highest mountain range, and just 10 miles from Humphrey’s Peak, the state’s highest mountain. It’s also at the edge of the largest ponderosa pine forest in the nation, the Coconino National Forest. Arizona in general is a global destination for adventure travel, but students at NAU are uniquely placed for some of the best hiking, mountain biking, and climbing in the world. Students can even ski at the Arizona Snowbowl, a ski resort just a few miles north of campus, in the San Francisco Peaks. NAU’s Outdoor Adventures program provides students with equipment and guided trips, but students don’t need organized groups to check out the Kachina Peaks Wilderness – in fact, NAU is right in the center of the Coconino National Forest. And the Grand Canyon is just an hour and a half drive away! Northern Arizona University is simply one of the best mountain colleges in the nation. Boise State University is one of Idaho’s key public universities, and produces more undergraduate degrees than even the University of Idaho or Idaho State University. Founded in 1932, BSU was originally an Episcopal school, but became an independent public college just two years later. Like other regional colleges, Boise State puts its emphasis on meeting the needs of the people of the community, and has become well known in Idaho for its excellent teacher education, health sciences, business, and public service programs – all fields that help make life in the Gem State live up to its name. With its campus in the Boise Foothills, Boise State has earned a reputation as one of the best mountain colleges, and one of the best colleges for outdoors enthusiasts. The region is known internationally as one of the best for hiking and mountain biking, with extensive trails all around the city and mountains, easily accessible for Boise State students. BSU’s Outdoor Program organizes trips all around the region, from whitewater rafting to rock climbing, and the Outdoor Rental Center has all the gear students will need for organized excursions, or their own personal adventures. One of the best colleges in the mountains, Boise State is Idaho’s home for nature-loving students.